Greetings! 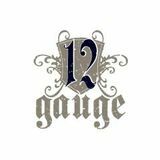 Welcome to the Official 12 Gauge Crew Mix Cloud! 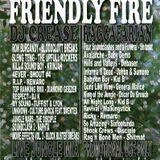 What you see here is the Friendly Fire mix, some of our latest and hottest sounds featuring two DJs in the mix on the vinyl, strictly. So blaze on the chalice to the junglistic riddims and post a comment. Massive respect to the artists whos choons have been pressed on Vinyl and make this a reality, and big up to our loyal fans! Peace, love, unity, respect, etc.